You don’t have to worry about it. Applying liquid glass is as easy as using any other cleaner you have at home. The most important thing to do is to follow the instructions; it may sound dull and unnecessary, but if you follow them you will get better results. First step, clean. Don’t apply liquid glass over a dirty surface. Liquid glass protects objects, makes them harder, disinfects them and prevents them from almost any damage, but if we don’t use it on clean objects the results will not be as effective. In some cases, such as in Crystalusion packs prepared to protect multimedia devices, you can use the specific cleaning towels included in the pack. On the other hand, if you want to apply liquid glass over a bigger surface such a car or even a plane you may clean it with your usual cleaning products. Once everything is clean it is time to start applying liquid glass. There is no magical recipe, no special things to do. Just apply it in the same way you apply polish, bleach or dishwashing liquid. You only need to do it carefully so you cover the entire surface without wasting it. 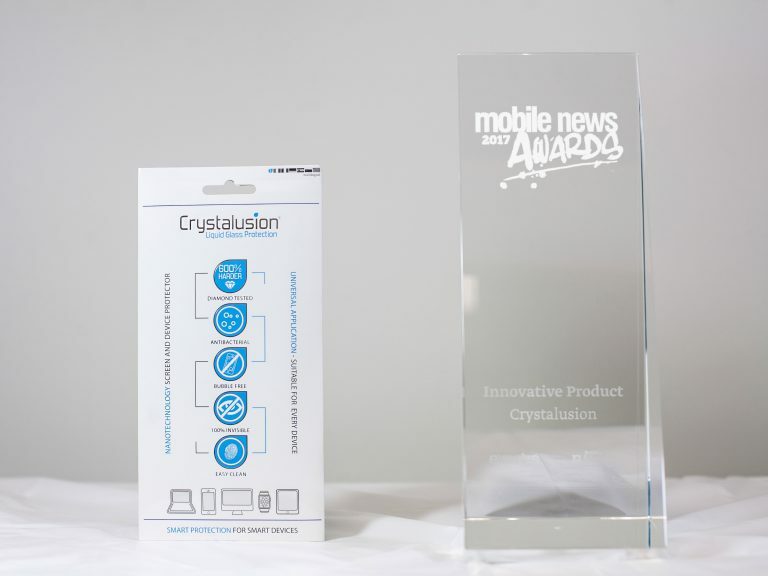 If you want to protect small surfaces, such as a mobile phone, you can use the special cloth coated with liquid glass that you will find in Crystalusion packs. Use the cloth as if you were simply cleaning the device. Keep applying until the cloth is completely dry. Now it is time to polish the device with a clean microfiber cloth. When you want to apply liquid glass to cars, ovens or baths, Biosativa, Bacoban and CrystalXtreme are the products to use. They are presented in bigger containers and it is necessary to dilute liquid glass in water. Depending on the size of the surface the concentration of liquid glass should be higher or lower. Once more remember to follow the instructions so you don’t make any mistakes. Don’t forget to rinse, dry and polish the protected surface to get the perfect result. Remember to repeat all the steps from time to time to be sure that your objects and rooms are always protected and disinfected.